Sean Connery photographed on the set of Woman of Straw. This black and white picture is professionally framed with passe-partout in a limited edition. Sean Connery photographed on the set of Woman of Straw. This picture was taken in May 1963 by J. Barry Peake. A beautiful iconic black and white picture as wall decoration. 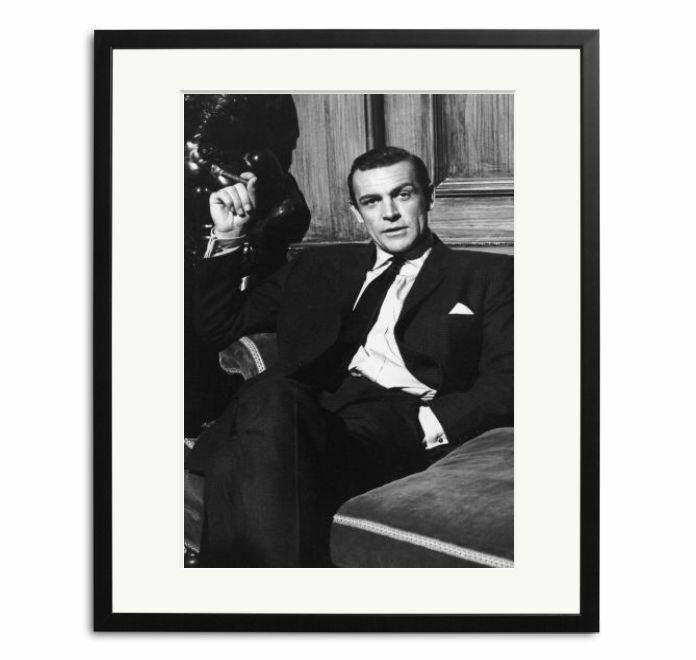 This picture of Sean Connery is professionally printed on special Fuji Crystal Archive Paper, which is also used by professional photographers. The beautiful frame with passe-partout provides the finishing touch! This frame is hand made of black wood containing acrylic glass that serves to protect the picture. The frame can easily be hung up with the wire on the back of the frame. 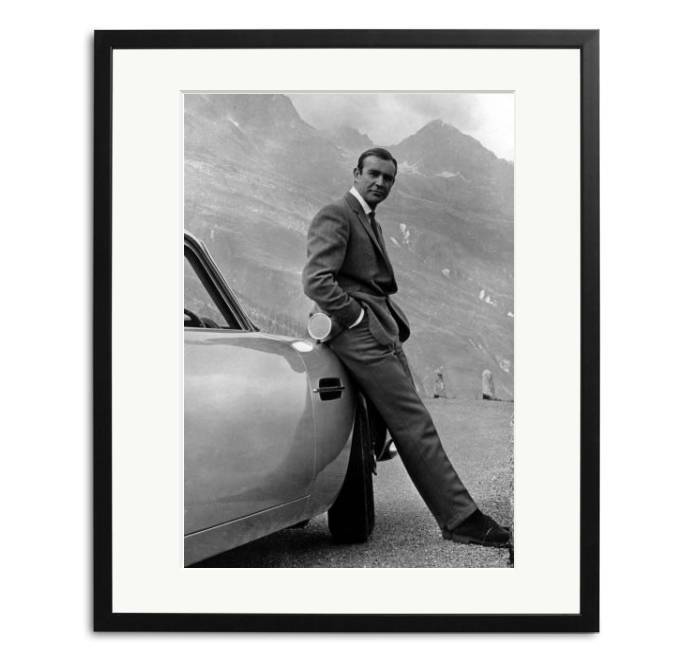 Sean Connery is one of the most iconic persons of sixties and is part of the wall decoration collection of Wilhelmina Designs. These celebrities are contemporary style icons who give your interior a luxurious and international look. This print comes from a limited edition of 495 pieces, therefore your piece is exclusively numbered! 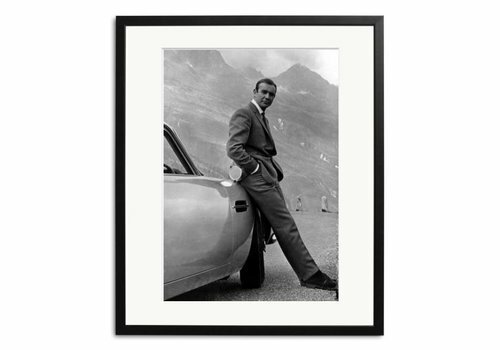 Sean Connery as James Bond, photographed with his Aston Martin DB5 in the film Goldfinger. 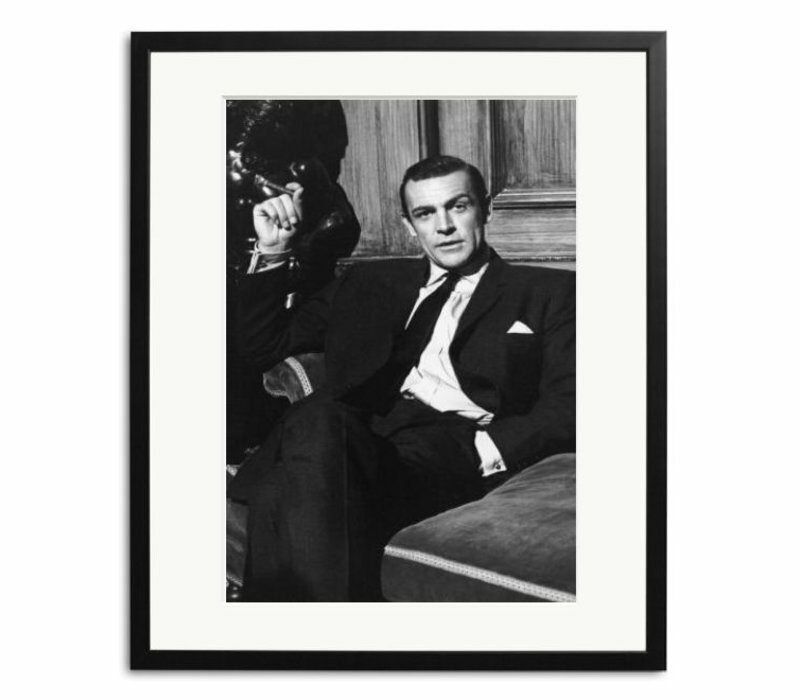 This black and white picture is professionally framed with passe-partout in a limited edition.